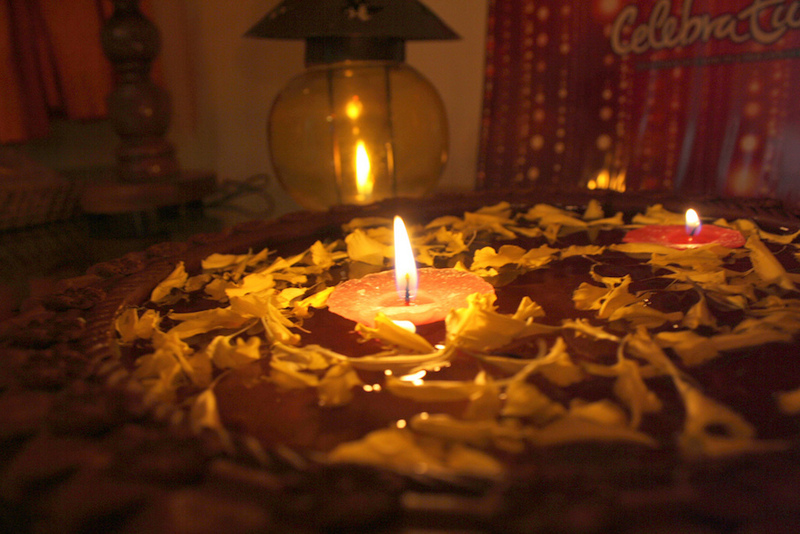 Diwali is a Hindu celebration known as the Festival of Lights. It’s India’s biggest holiday and is observed for five days. It has been celebrated throughout the country for over 2500 years. The word Diwali is derived from the Sanskrit word “Deepavali” which translates as “series of lighted lamps.” The festival is celebrated in either October or November, varying from year to year according to the current cycle of the moon. This year it will be celebrated on November 7th. Each of the five days holds a certain meaning and has different names according to the region where it is celebrated. Day one focuses on wealth and fortune. Many people buy kitchen utensils and gold on this day. People also clean their homes and spend time together gambling. On day two, people create Rangolis which are colorful and intricate designs created out of either flower petals, rice, chalk, or colored sand. Day three is the namesake of the festival, and on this day diyas (clay lamps) and candles are lit throughout homes, and fireworks are shot up into the sky. There are sumptuous feasts and prayers are said to the goddess Lakshmi. On day four, in some areas, the start of the new year is celebrated. Day five is a day of commemorating sisters. To honor the bond between them, siblings gather together and share food and prayers with each other. The celebration of Diwali is worldwide. Leicester, England hosts one of the largest of the festivals outside of India. The Golden Mile, which is a stretch of road in Leicester, is filled with over 35,000 people each year and is decorated with over 6,000 lights. Ever since 2013, Times Square in New York has hosted a Diwali Festival, and in San Antonio, Texas there has been a Festival of Lights Celebration for the last ten years, attracting over 15,000 people.